First of all, huge thanks to eGPU.io , with many latest information and help, I finally have my own eGPU set-up. 2. Plug in Akitio Node & graphic card. 3. Update graphic card driver. 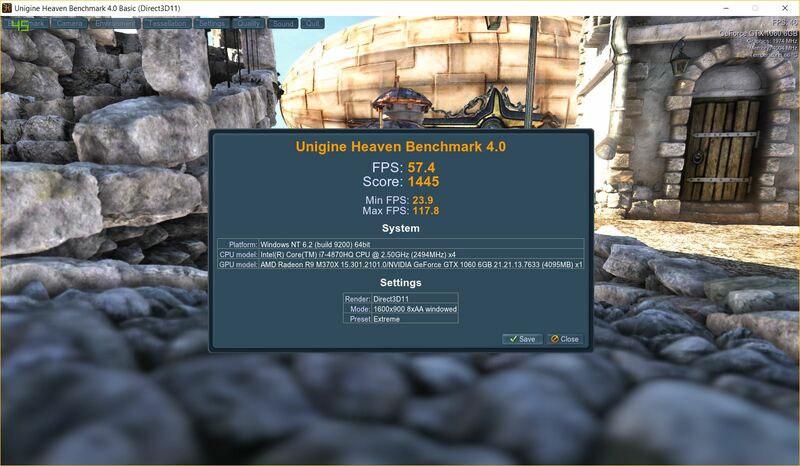 That's all I did for my whole eGPU system, quite fast and easy. 1. 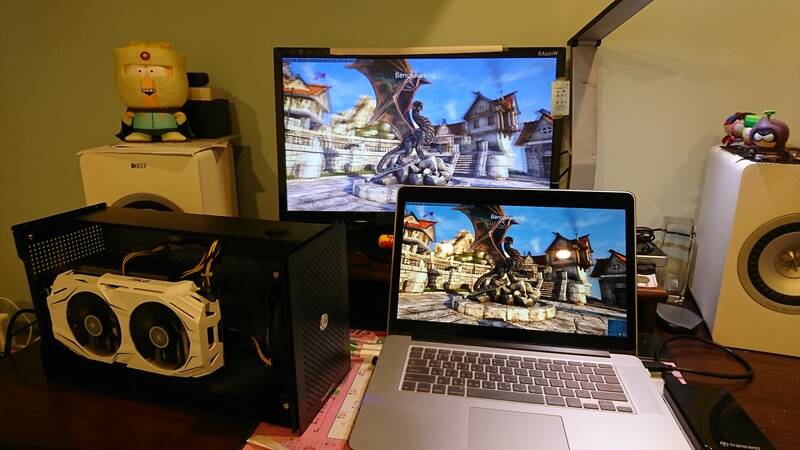 AMD dGPU and Nvidia eGPU might cause some problems, such as screen resolution between laptop screen and external screen some times get massed up. Maybe I can disable AMD dGPU ? 2. No Nvidia 10 series driver in MacOS, I'll consider buying a used GTX980Ti or wait someone release driver. I'm glad to see more AKiTiO Nodes in the wild. 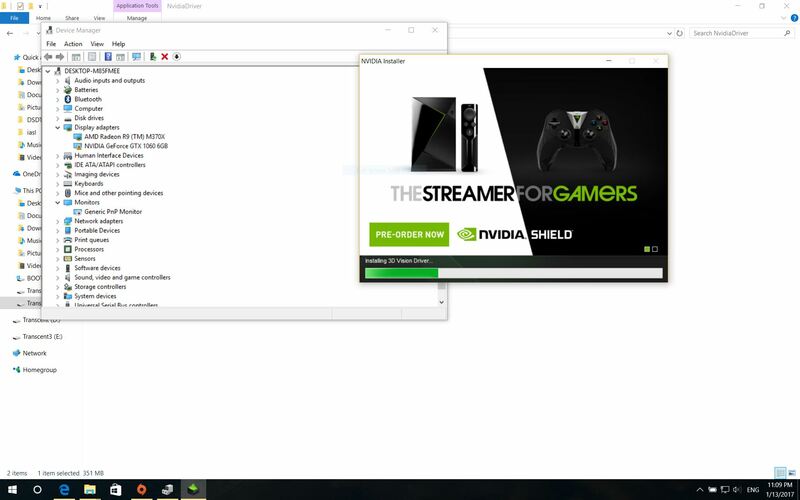 Try Alec's instructions and see if you can get Nvidia Optimus going. Hi! 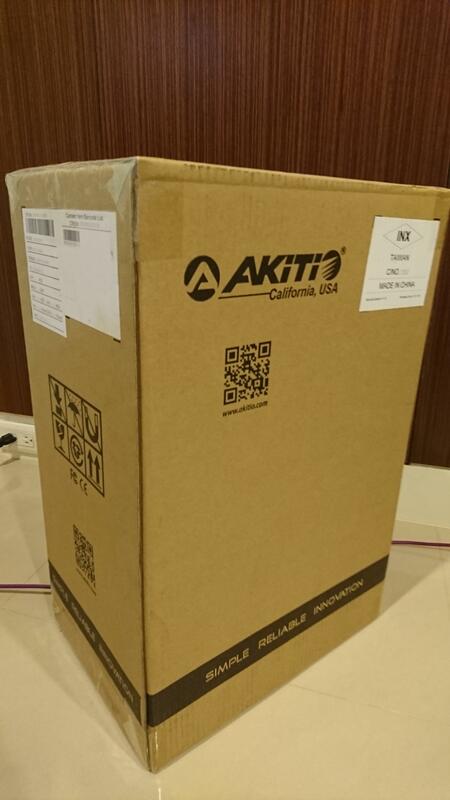 Congratulation to get an Akitio Node! I really want one too! Hi, I have an Akitio Node with GTX 1070 and would like to run it with 2014 15" macbook pro with GT750M. The egpu is connected via thunderbolt 3 to 2 adapter then connected to my laptop using thunderbolt 2 cable, same as your setup. 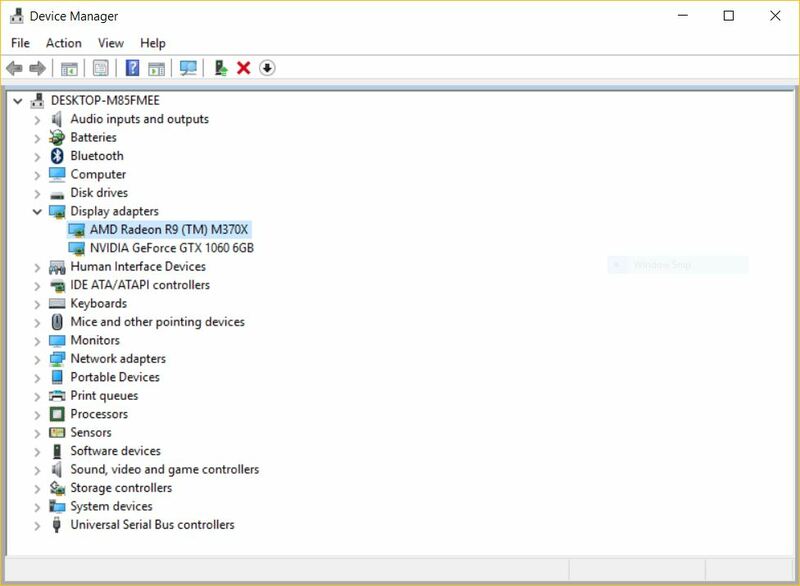 However, the egpu would not show up in the device manager. What is the sequence you use to make your setup work? Do you have to change anything to make the egpu detectable? I have tried the egpu connection in mac using the automate egpu script and it does detect the egpu, so I don't think there is problem with the connection. Please help me. Thank you. I understand that the situation I'm in is a little different, but it's also similar. I'm using a 2015 5K iMac, (Thunderbolt 2), with a PowerColor Devil Box, (Thunderbolt 3), via Apple Thunderbolt 2 -> Thunderbolt 3 adapter + Apple Thunderbolt 2 cable. In the Devil Box is an EVGA GTX 1080 Hybrid, so I will not be utilizing this under macOS. Under BootCamp, Device Manager, all that's reported is "Unknown device", reporting "There drivers for this device are not installed. (Code 28) There are no compatible drivers for this device". Although the Devil Box is powered on, and the GPU fan is spinning, none of the USB ports on the Devil Box are working. Did you have to do anything special in order to use your Node over Thunderbolt 2 in BootCamp? I see there is a DSDT override, but I don't think that applies to my situation, as I am getting Code 28, not Code 12. Did you make hot plug in Win or plug in Node before choose Win in boot camp ? Try to hot plug the thunderbolt cable when booting into windows. I need to disconnect the eGPU before booting, after select startup disk connect Thunderbolt cable as soon as Windows symbol shows up, and the system can success get eGPU system work probably. Yes, I need to hot plug thunderbolt cable to get system detect my eGPU! The hot-plug was not successful in my case. 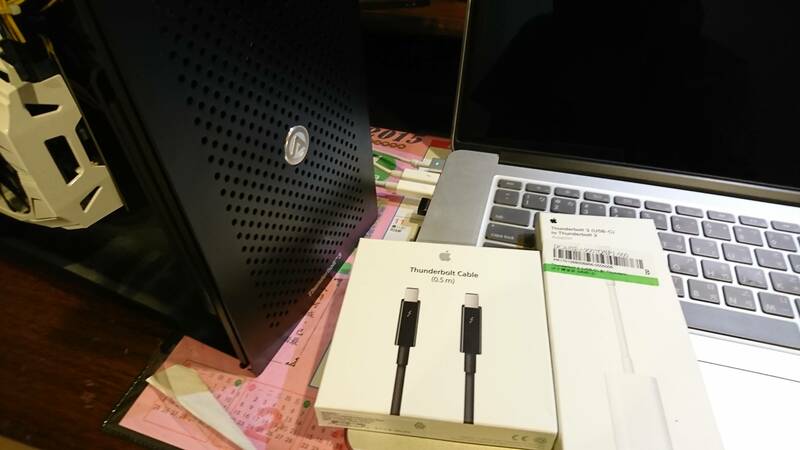 I concluded that the Devil Boxsimply does not work over the Thunderbolt 3 -> Thunderbolt 2 adapter, as others have pointed out that it was not working for them either. I exchanged the 2015 iMac 5K + 2016 MacBook 12" for the 2016 MacBook Pro 13" (non-TouchBar), and the Devil Box was recognized immediately upon boot, with the GTX 1080 only requiring the Code 12 fix via DSDT override. After updating the Devil Box's firmware, the BootCamp boot now hangs if the Devil Box is connected. Hot-plugging about ~1s after the Windows logo appears is a workaround for the hang while using this firmware version. 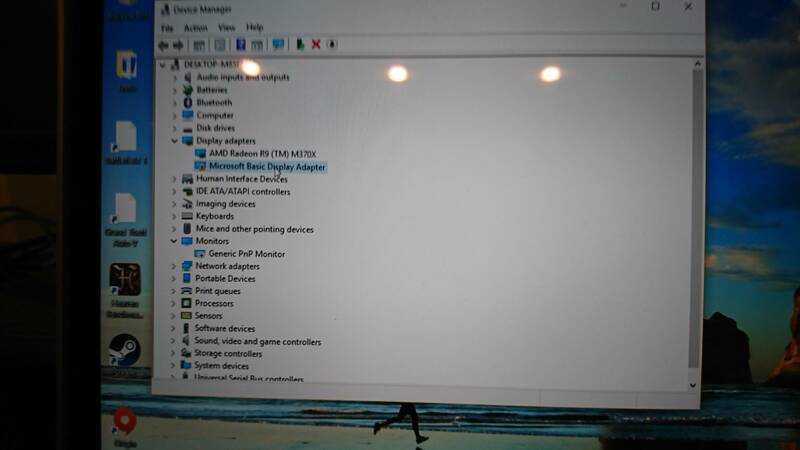 I have the EXACT same set up but with an RX 480. do I do the here ◄ Macbooks owners please work through this list before doing a DSDT override first before doing the DSDT override? Or did you just jump right into that link you have on here to fix code 12? EDIT: Actually, since I have the exact same system I think you can post your pre-compiled DSDT repository. If you can, that would be amazing! So the adapter doesn't represent any lost on performance? Using an eGPU via Thunderbolt 3 -> Thunderbolt 2 adapter seems to have a small, but identifiable impact on performance. I have a same mbp as yours. So, can you make it without an external display under bootcamp win10? Currently an external display is needed in my setup. I'll buy a ghost display adapter later maybe it can work in windows? I have the exact same setup as you however bootcamp does not detect my akitio node. Any way you can give a more detailed tutorial or send me your dsdt file. I just got started and am having trouble setting everything up.